Bet you’re making Valentines treats this week! These are really impressive! 3-4 ounces dark chocolate – I really love Lily’s brand sweetened with stevia. In a small saucepan, melt the chocolate, stirring constantly with a whisk. Add remaining dry ingredients/spices – combine well. Remove chocolate from the heat once melted. 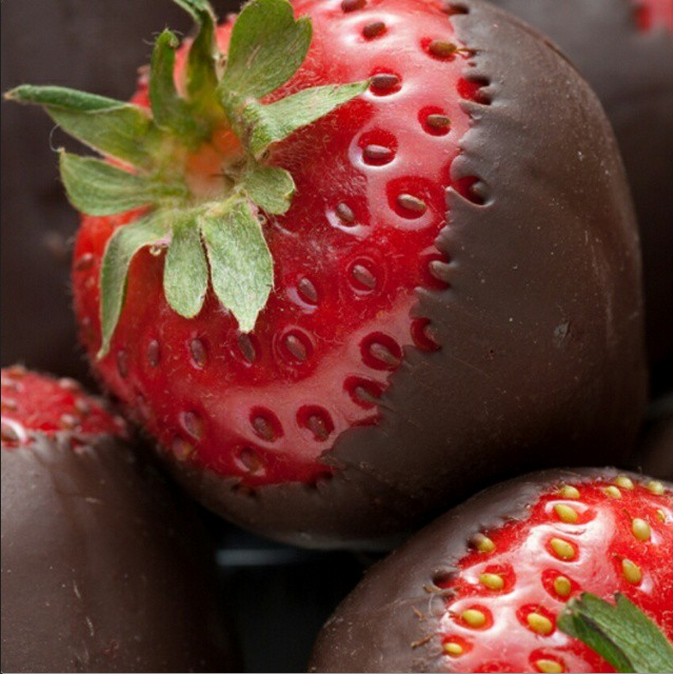 Dip, your dry strawberries into the melted chocolate. I hold them by the stem…coating chocolate on each side. Place on a parchment lined flat sheet pan. P.s. My Hawt Chocolate Clean Winter Treats Cookbook is still available for just a little longer! Lots of Clean Treats just like this one all in one place!